Ron Kain is a sound engineer, record producer & video editor from NYC, which means he has no patience for b******t products or excuses about why something doesn't sound right. He can talk audiophile gear all night, but most people just want great sound and don't want to be talked down to, which is how he became the #1 hi-end salesperson in the Northeast. His time working with the Wu-Tang Clan & Alicia Keys taught him that audiophile-approved recordings are worthless to the average person. "Nobody cares how well it's recorded. Play me something real, or I'm out of there." As software-based audio became popular, Ron's sales soared. Customers from the tech sector, and even former salesman like Alex Roy gravitated to Ron because he was the only one who knew how anything worked, and didn't treat them like idiots – Which is why Alex Roy asked him to be his partner, and become President of Noho Sound. In the acoustically treated living room he built, Ron has a stack of Devialet he earned for having sold so much of it. "Some things sell themselves," he says, "no matter how it sounds." When asked how he sold so much, Kain had a pithy response. "I was the only guy who read the manuals. And not just in the store where I worked. And not just in New York City." Alex Roy is an occasional race car driver, angel investor, Director of Special Operations at Argo.AI, Editor-at-Large at The Drive, co-host of /Drive on NBC Sports, Host of The Autonocast, executive producer of APEX: THE SECRET RACE ACROSS AMERICA, and author of The Driver, which depicts his Cannonball Run record-setting drive from New York to LA in 31 hours & 4 minutes. Roy has set or broken dozens of endurance driving records. His rule? No music while driving at high speeds. Roy believes music is meant to be listened to, the way a movie is watched. Why? Roy was a professional classical pianist who gave up his career after a hand injury suffered during a CiV tournament. Really. In 2015 Roy became the first investor in the Groupmuse live classical concert music series, and still serves on its board. Roy was also Chairman of The Moth storytelling series from 2002-2007, and their office was located in the very showroom in which Noho Sound was born. Roy has been buying and trading gear for 25+ years, and has owned literally everything, including Thiel, Conrad Johnson, Audio Research, Martin Logan, Wadia, Auralic, Bel Canto, Proac, Mirage, Focal & Well-Tempered. He loved it all until things went wrong. Legacy audio stores? Lazy snobs who can barely explain how their own products work, let alone fix them. Then he met Ron Kain. 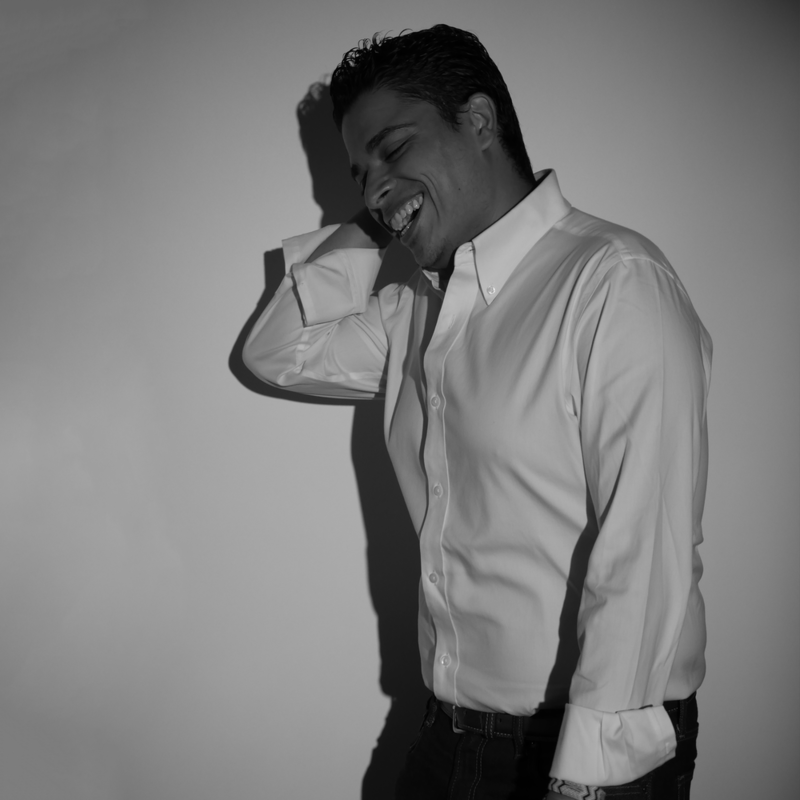 Nikhil Dhanani comes to Noho Sound from the Automotive and Fashion industries. Nik met Alex Roy at Polizei 144, where he relaunched the brand’s leather and streetwear lines. Nik’s love of industrial design means he thinks audio should look as good as it sounds. If he thinks it looks like s$$t, he’ll say so, which is why Noho Sound doesn’t carry more products. In his other life, Nik is the COO of the Human Driving Association, a safety and advocacy organization supporting human-centric design and is also the Creative Strategist for The /Drive. Mike is an amateur pianist and lifelong music lover whose primary goal in hifi sales has always been to bring the performers into your listening space in such a way that you will almost never want to get up and do anything but purely enjoy the music. Noho Sound welcomes Mike to our family and we are proud indeed to have him aboard. Our competitors aren't so happy about it.